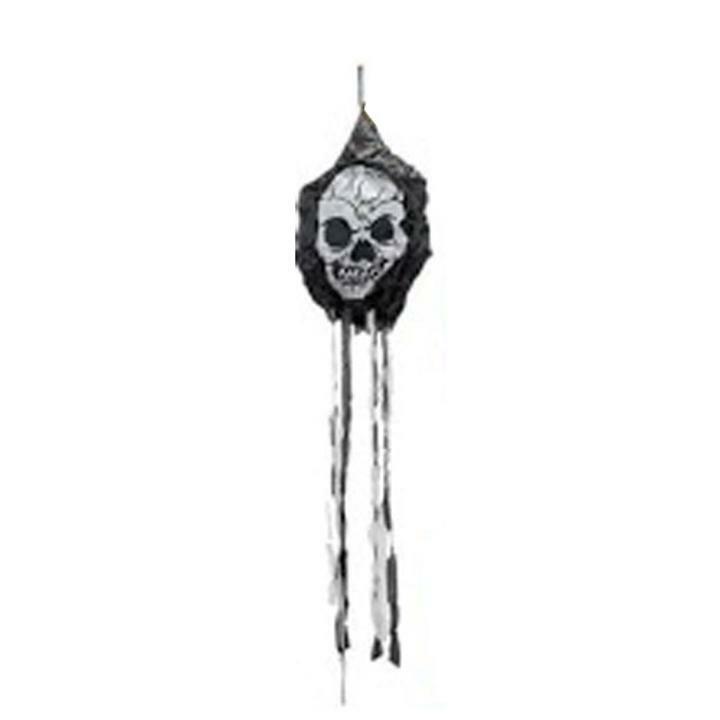 40" Hanging Skull Halloween Decoration in black is the perfect creepy hanging decoration for your porch or front door. See our full line of Halloween decorations in fun and scary designs. Skull measures 15", streamers 25". L: 12.0 in. W: 12.0 in. H: 1.0 in.